At SwimStars, we know how important it is for parents to plan ahead when it comes to their child’s swimming, too. 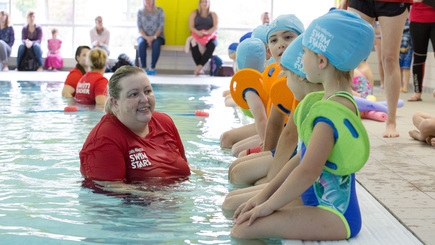 For children that are unable to swim without aids or lack water confidence, our team of experienced instructors are on hand to teach them the basic skills to keep them safe in the water and keep your mind at rest when they’re in the pool. Of course, all children progress at different rates, but by joining a SwimStars class now, you can ensure your little one is introduced to water in a fun, safe environment in time for your summer getaway.